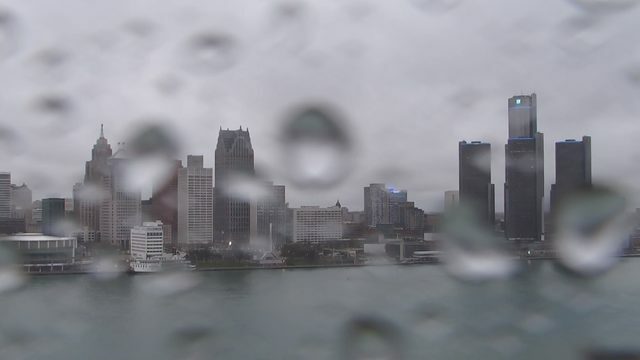 ROMULUS, Mich. - Friday marks the 6th day that Unite Here Local 24 union members are on strike at the Marriott-operated Westin Book Cadillac in Downtown Detroit. They have been picketing day and night outside the hotel building. Friday also marks the first day that workers from the Westin at Detroit Metro Airport could join the strike. The airport hotel workers have voted to strike, but an actual work stoppage has not begun at that hotel. Unite Here Local 24 represents housekeepers, server, cooks and other workers at the hotels. The strike information went out Thursday night. The union is citing workload and pay as the main issues. It says housekeepers clean 23 rooms per day, which, according to the union, is 10 rooms above the industry standard. Workers also say shifts are 12 to 13 hours long. "We are disappointed that Unite Here has chosen to resort to a strike at this time. During the strike our hotel is still open. We continue to bargain in good faith for a fair contract. While we respect our associates' rights to participate in this work stoppage, we also will welcome any associate who chooses to continue to work."